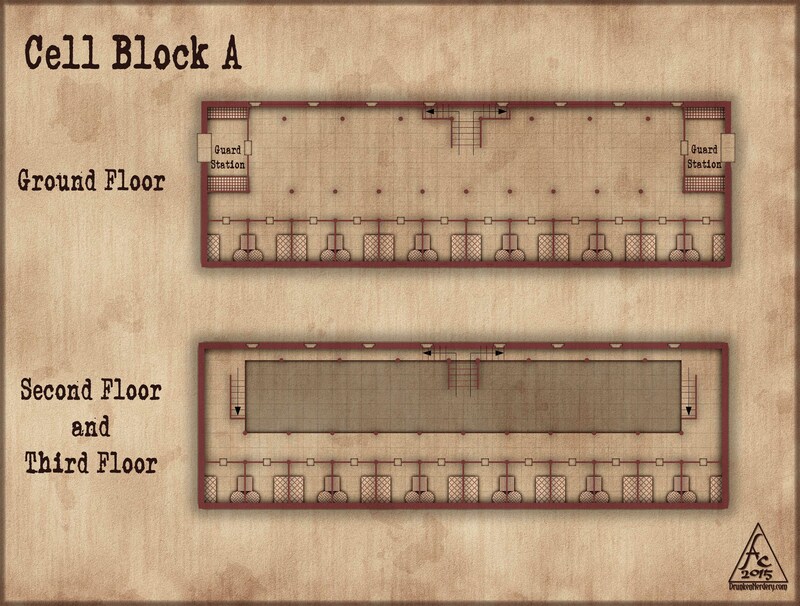 Hey all – I recently finished a private commission for some prisons maps to accompany a zombie rpg. It was my first time doing a purely line art map, but it was a good chance to experiment. The client was pretty happy with them, so I figured I’d post some samples. 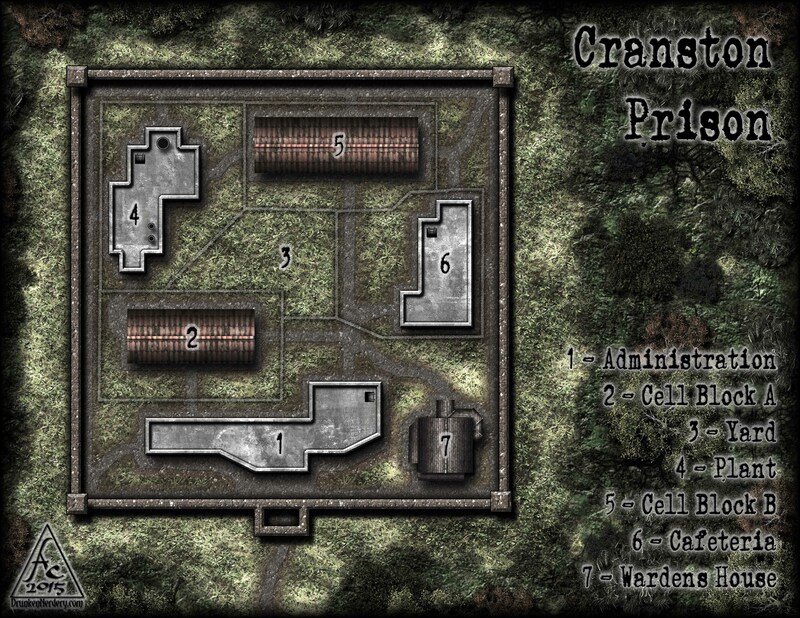 Categories: Commission | Tags: 3.5, apocolypse, Battlemap, CC3, Jail, RPG, zombie | Permalink. 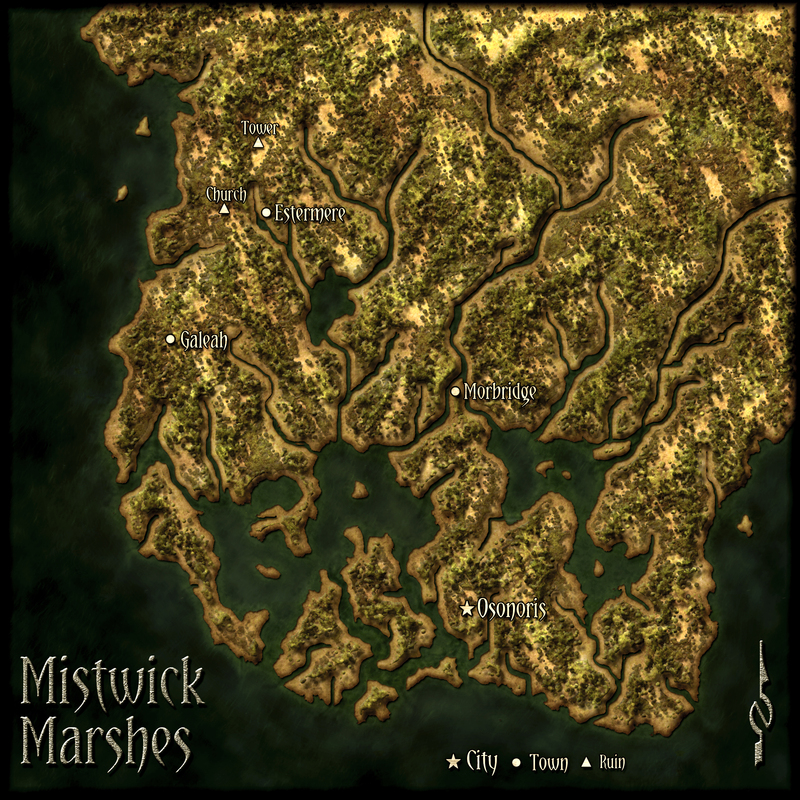 I’ve just released another adventure in my Mistwick Marshes campaign setting. 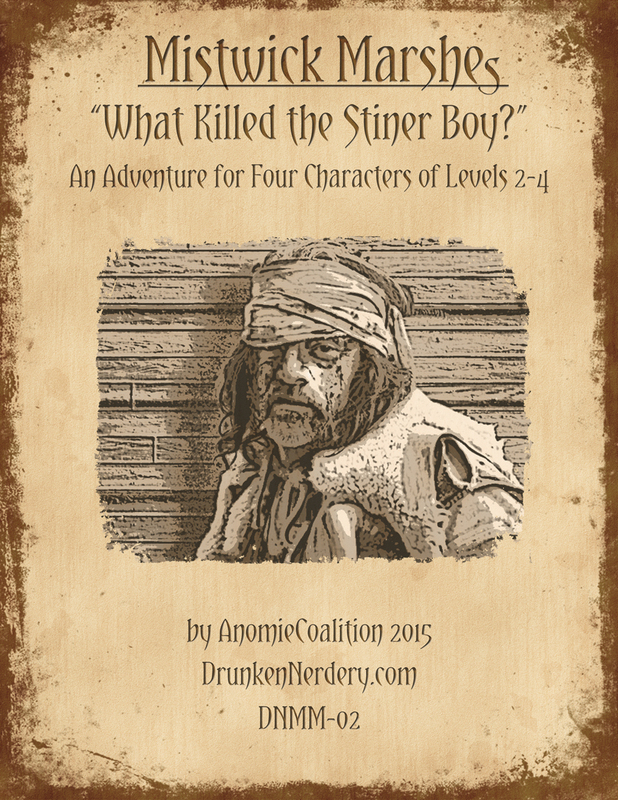 “What Killed the Stiner Boy?” is an adventure for characters of levels 2-4 and is available for only $3 at DriveThruRPG and Paizo. 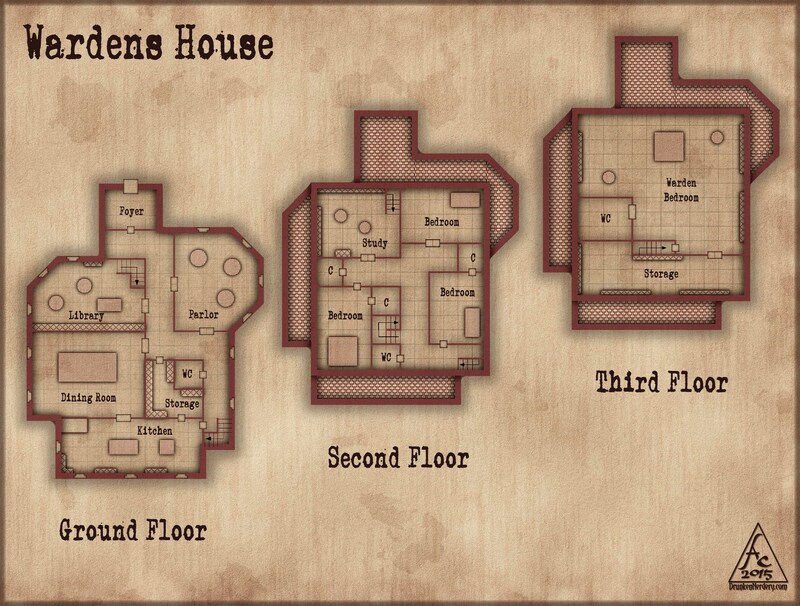 Plus – included in the adventure are the maps for the previously released Brothel/Inn and Ruined Church/Abbey/Temple. Here’s a preview of some of the other maps included and a description! After witnessing a young man (the “Stiner Boy”) seccumb to a deadly disease that has been ravaging the town of Estermere, the party is ultimately contracted to solve the mystery of its origin and discover a cure. Although a number of leads and potential side quests present themselves as they explore the town and speak with its inhabitants, the party will eventually stumble upon a ruined church deep in the marsh. In the crypts beneath the church, they will encounter a number of nefarious monsters along with a gang of bandits who are both behind the disease’s occurance, and hold the key to its cure. In addition to the main quest (and rewards) associated with solving the disease mystery, the party has the opportunity to get involved in the town’s politics by helping an innocent man escape jail, brokering trade relations with the Jademi (Reclusive nomadic clans of Half-Elfs), and making useful contacts with an aspiring spy/assassin guild. Although this adventure was designed such that it could be placed into virtually any campaign world with minimal modifications, it also serves as the follow-up to DNMM-01 “Bait and Switch” and will lead into future adventures in Mistwick. 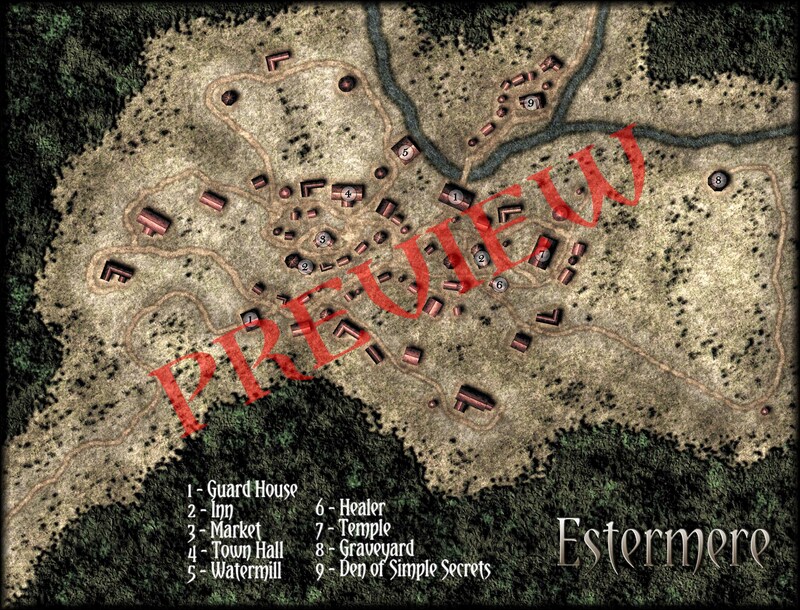 The politics of the town and many of its inhabitants will become important NPCs and adventure hooks in the future. This adventure is the second in a new campaign world (Mistwick Marshes) where the spirits of an ancient elvish civilization still roam the muggy swamp and don’t take kindly to those who seek to loot their ruins. Settlers on the frontier face constant perils from dangerous monsters, insidious witches, and roaming barbarian gangs. An optional Dream Interpretation Skill (“Visare”) to add a prophetic quality to your game experience along with a random “Visare” generator. Battlemaps for 2 wilderness encounters, a guard house, and a crypt. Note – The Battlemaps for the Brothel and Ruined Church are reproductions of previously released battle map titles. 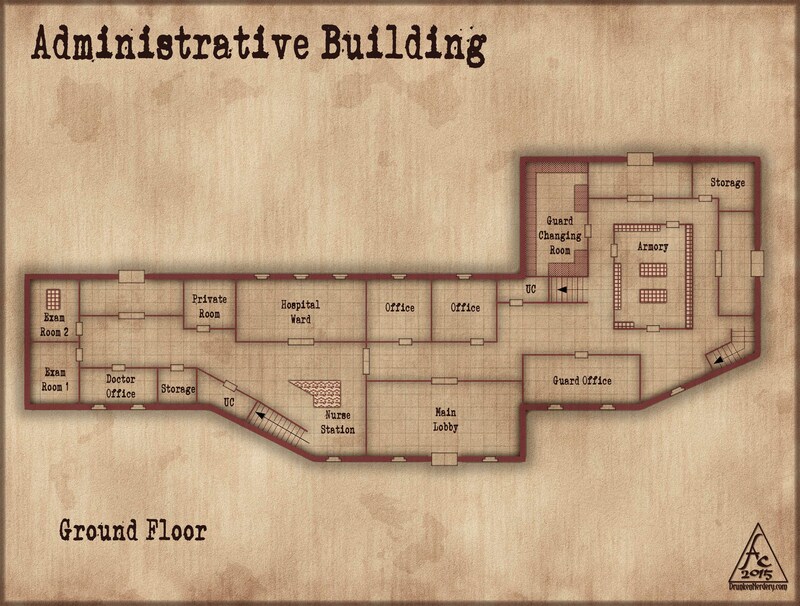 Categories: Uncategorized | Tags: 3.5, Adventure, Battlemap, brothel, CC3, Church, Compact Castles, D&D, dnd, Dungeon, Encounter, inn, Jail, Pathfinder, Photoshop, Prison, RPG, Ruin, tavern, Town | Permalink.